Starting from $1000usd, and some musicians buy at the price of $1500usd for the last improvement of the quality. 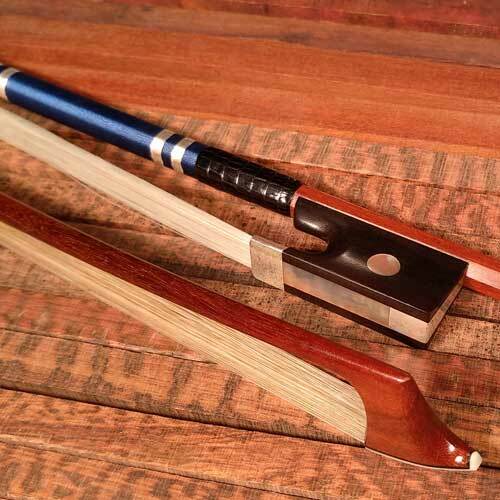 We use the finest available pernambuco to make this violin bow, combining with master craftsmanship entirely by master maker F.Wang. Either the sound or handling is super fine. Parameters established not only by our scientific research but customized to player's style. It's well worth to have one for players who enjoy music. 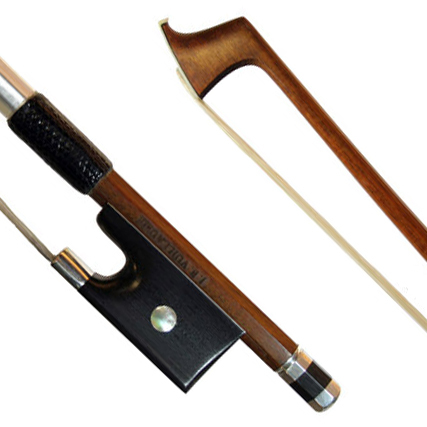 Weight of this bow can ranging from 59g~62g, the balance point are 21cm~23cm away from the frog end. 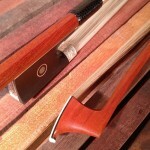 You can choose any kind of frogs, winding or grip leather. 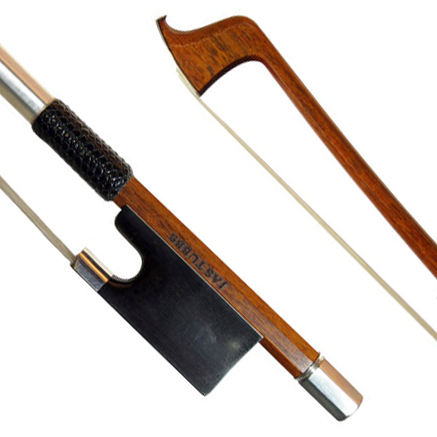 Top grade pale yellow to white colored male horse hair grow in cold climate are used for this bow. 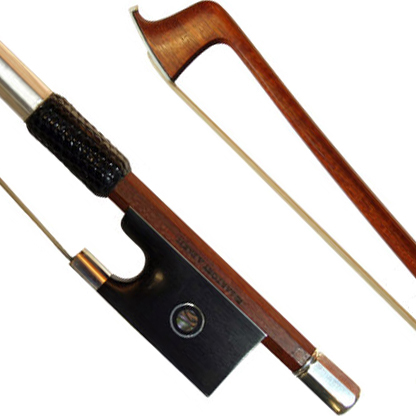 Please compare this bow with any violin bows bellow $3000usd across the world. 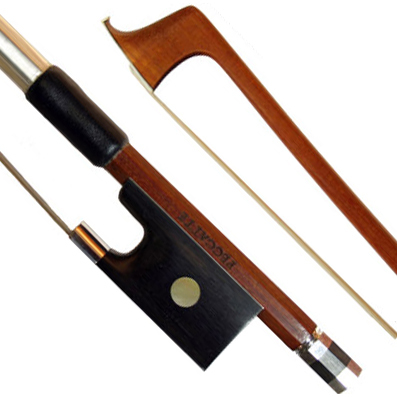 We have been asked about a lot of similar questions about this bow, from professional musicians this question is simple, will my tailored bow be a good bow for me, the answer is yes. But for many other players, the question will be more like looking for a race car, the bow will sure give them the quality and capability, but they may not drive the race car in the way like professional drivers do. I hope that I have made my point. 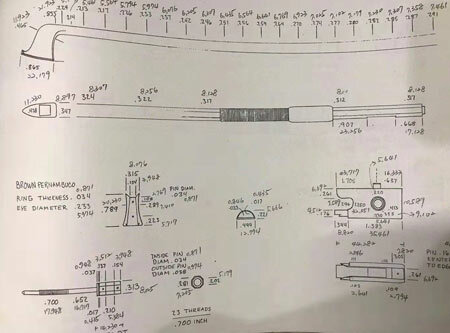 Following is one of the sketch of the details of a replica antique bow. 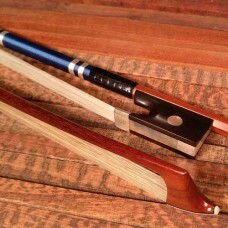 Will our replica bows be the same dimensions? 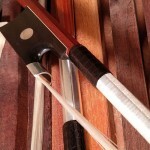 No, the bows specifications are not the only thing that decide the quality of the bow, the correct combination of the wood, understanding of the player's needs, and the specifications will lead to a good replica bow. A strict copy to an antique bow's appearance is not the best way of doing it. And we look forward to discuss with you about it.